So Last night﻿I got to start on my fairy's hair! I got all the dark brown done, next comes the black, which I hope to finish tonight. She's really coming along! Its interesting to see it all come together. So....... I wanted to do something special for my husband of 11 years. I found one of my favourite pictures of the two of us and I had Heaven And Earth Designs custom chart it for me. 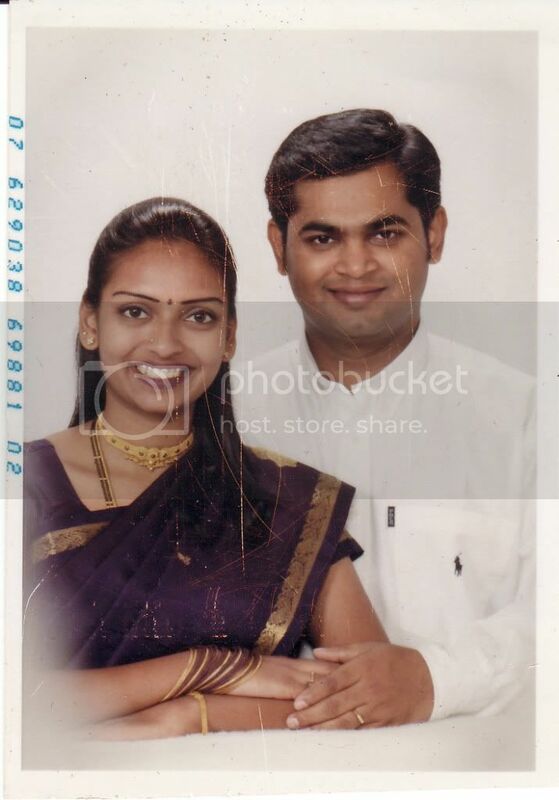 This photo was taked ten years ago!!! Michele did a fabulous job!!! 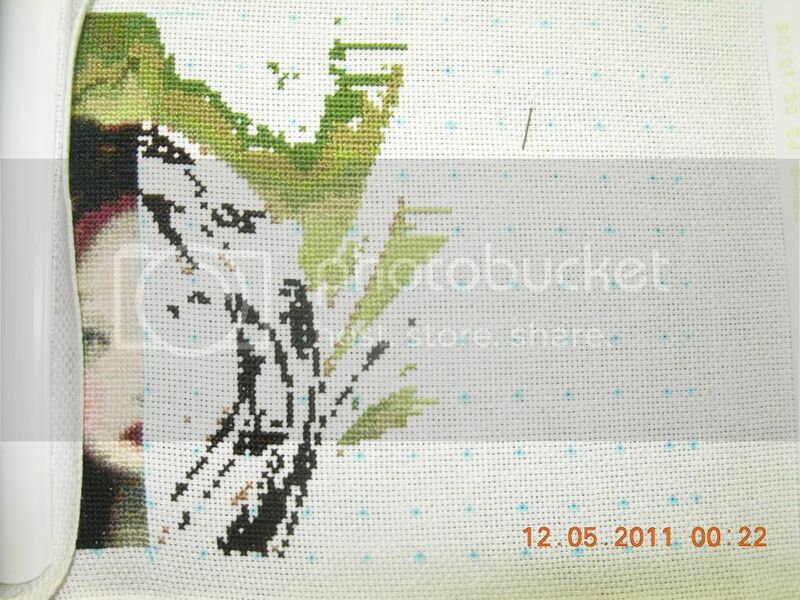 ﻿ I won't show you the charted version but show you as I stitch it. I am planning on stitching it on 25 count Lugana. Charted into it was a lot of Kreinik. I decided to to some test stitching to see how I liked to stitch with Kreinik. I also had some Petite Treasure Braid that I test stitched with also. I did a few stitches with each, and surrounded them with DMC 3865, which is what color will be most around them. The left two are with Kreinik. The right two are with PTB. The top two are 1 over 1 full cross. The bottom two are sparklies tented, rest 1 over 1 full cross﻿. What do you guys think? I found the Kreinik to be alot thicker than the PTB. I don't like the tent combined with the full crosses. Both were unravelling equally as much. But I think that I am leaning towards the PTB for look and coverage. I think the Kreinik stitched up a little bulky. 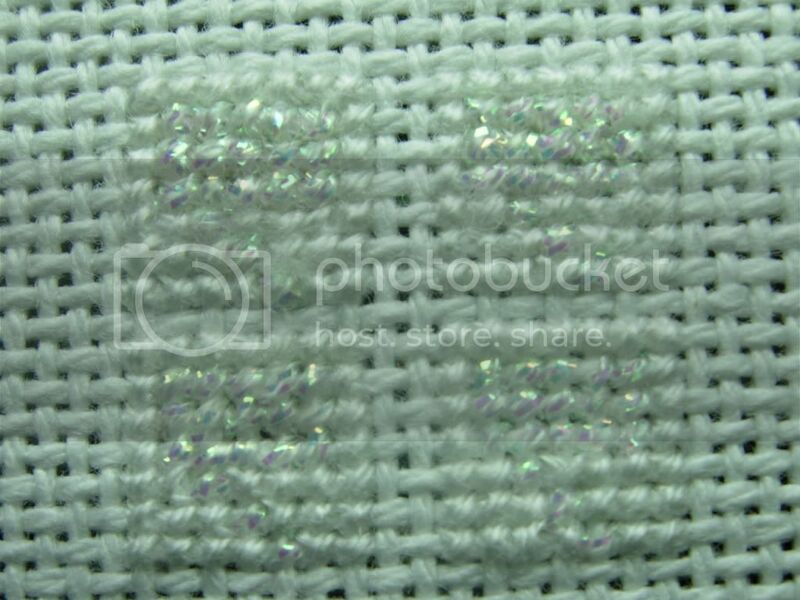 I also think the Kreinik is more silverly and the PTB is subtler, which I like. Looks like I will go with PTB. What's your opinion? Making nice progress on Fairy Sprite. Just love watching HAED's grow. Looking forward to watching the progress of your custom picture too. I personally like the PTB look. Fab progress on Terra - seeing the shape of her face now! Love the picture you got charted too and can't wait to see your progress on this!! I really don't like stitching with Kreinik, but find it more manageable with thread heaven. The PTB looks great though! 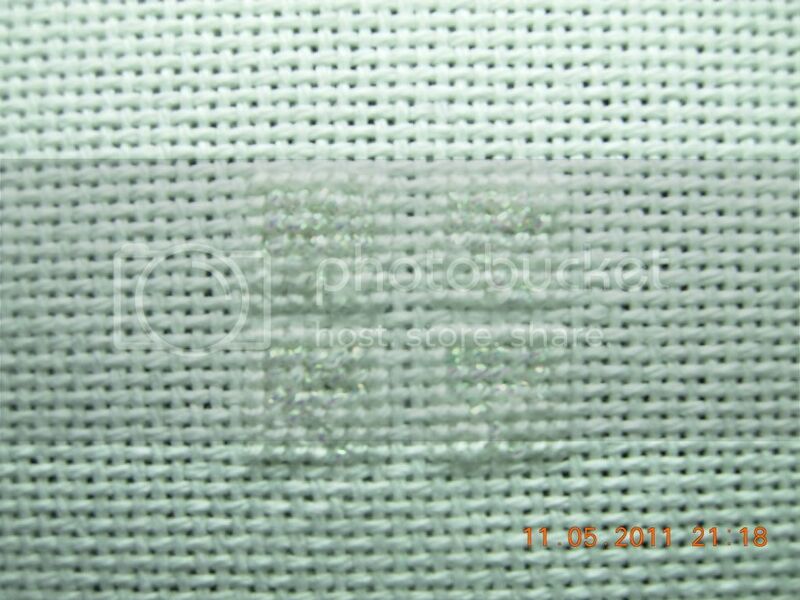 Excited for you to stitch your custom chart! !